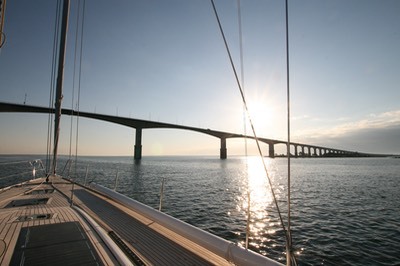 From Svaneke we moved north putting in a long day to do the 100 mile run direct to Kalmar. For the first time we found ourselves alongside with a larger boat - a 70 foot Oyster - so good to know we aren’t the only larger sailing vessel outside of tall ships in these waters. The guest harbour as is so typical of the areas we have sailed so far was located within a minutes walk of the centre of town. 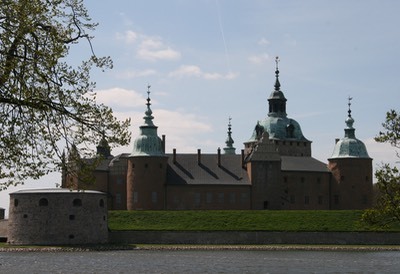 We were a short stroll from the marina to the Renaisance castle that has been incredibly preserved and restored over time that Kalmar is renowned for. It began as a defence tower in the 12th century and was developed over several hundred years to eventually become Kalmar castle. What we all found so amazing was that some of the original ceiling, flooring and walling in a couple of rooms has been able to be retained from original. We also figured that it certainly wasn’t the place to find yourself in when it became a prison reading the list of punishment handed out. 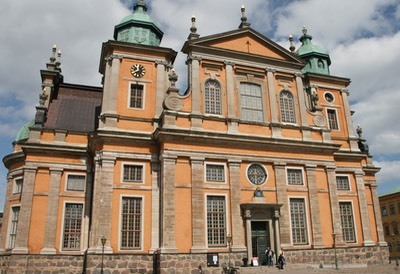 Within the Old Town is Kalmar Cathedral another amazing building that began in 1660 and looks more like a palace standing central in a market square. From Kalmar we encountered our second bridge - Oland Bridge 36m - and although we had an additional few meters on the previous bridge it still felt unnervingly close. 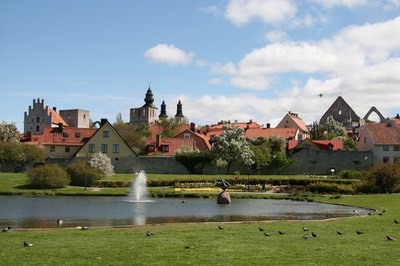 Next stop Visby on Gotland Island. The guest harbour was near on empty on our arrival but by the time we left two days later with a long weekend and the arrival of mid may an influx of boats had occurred and the harbour foreshore was alive with music. 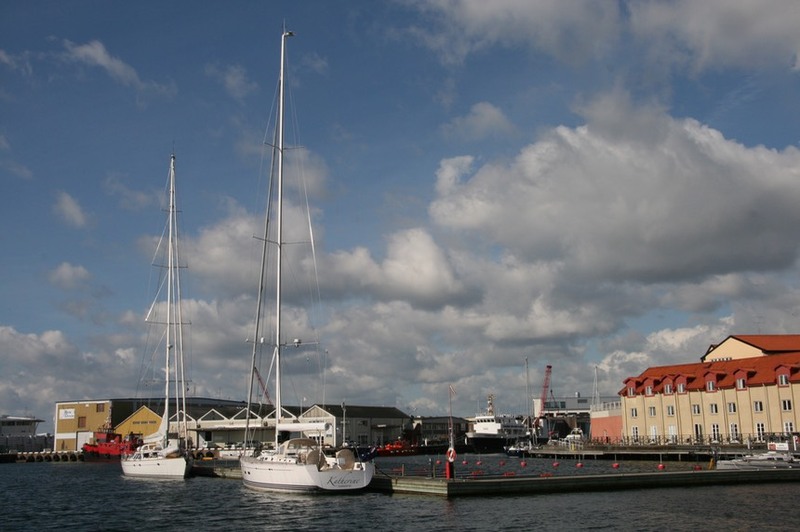 So we are learning the Danish put their boats in around the 1st of May, here in Gotland mid may and further north the season does not start to mid June. No wonder the harbours are so full in July and August - if you only have a few months to enjoy this beautiful area you would be sailing every day of the “summer” season. Mind you we are still waiting for the summer warmth. 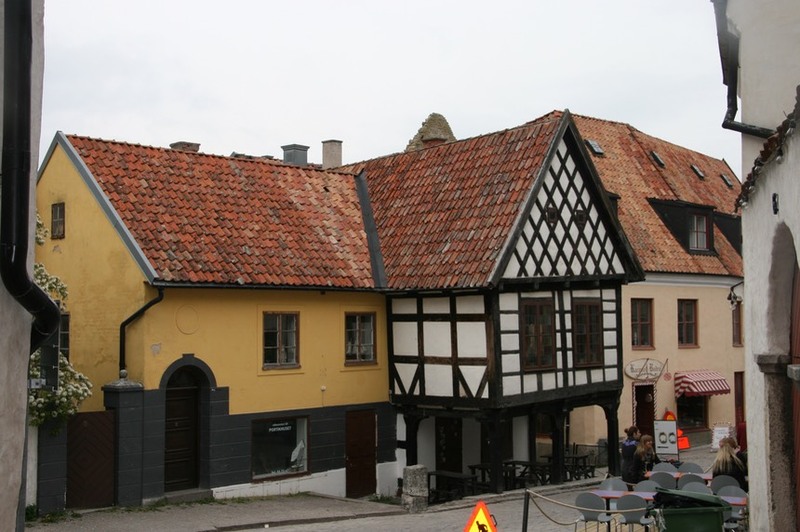 Visby is a world heritage listed town with a city wall built in the 13th century running around the Old Town along the sea and inwards on land. Inside the city walls houses have literally been built up to the wall. The town also has many Church ruins dating back to the 12th and 13th century along with the dominating presence of St Mary’s Cathedral with its timber turrets. Walking the cobblestone streets the town was literally a maze of surprises, gardens, ruins, quaint old buildings. We would have loved to have had more time on Gotland to tour the island as we did on Bornholm but we need to keep moving north to Aland. The weather here is well forecasted but incredibly changing, blowing 40 knots one day and 8 the next. We are definitely working on the theory make miles on the quieter days hide on the 30 plus knot days.